Cut the delicata squash in half lengthwise, remove the seeds with a spoon, and cut each side into thin slices. Place the pieces on a large baking sheet, sprinkle with olive oil, salt, and pepper, and bake for 20-25 minutes. 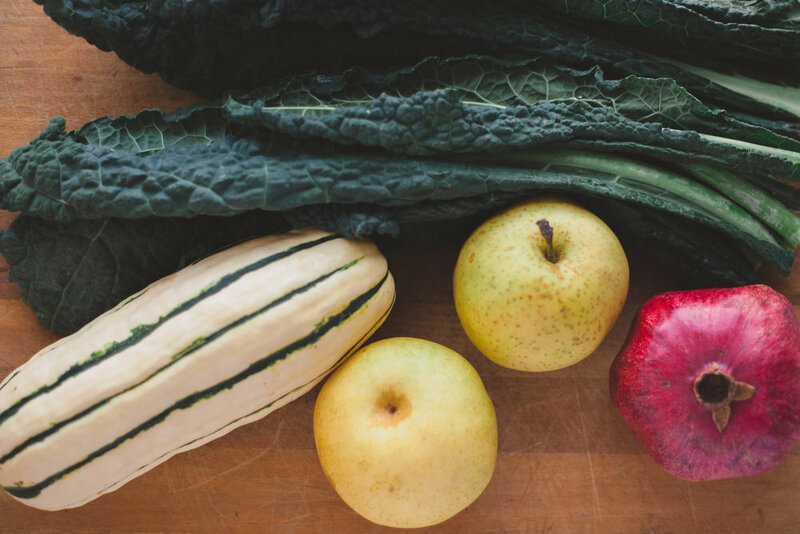 While the delicata squash is baking, combine chopped kale, apple slices, goat cheese, and pumpkin seeds. Combine all of the dressing ingredients and stir till the oil is no longer separated from the rest of the ingredients. Add the cooked delicata squash to the salad, and toss the salad with as much dressing as desired.